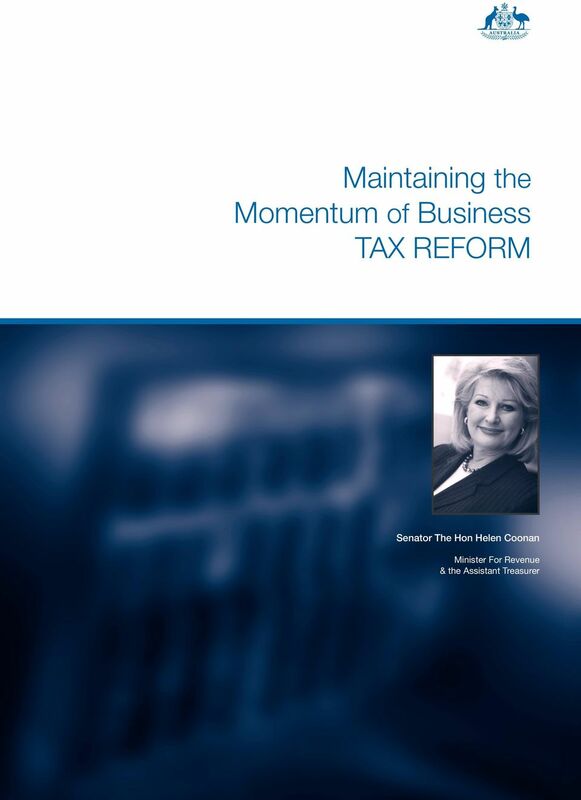 Download "Maintaining the Momentum of Business TAX REFORM"
Australia. An insurer that writes general insurance contracts as defined under AASB4. 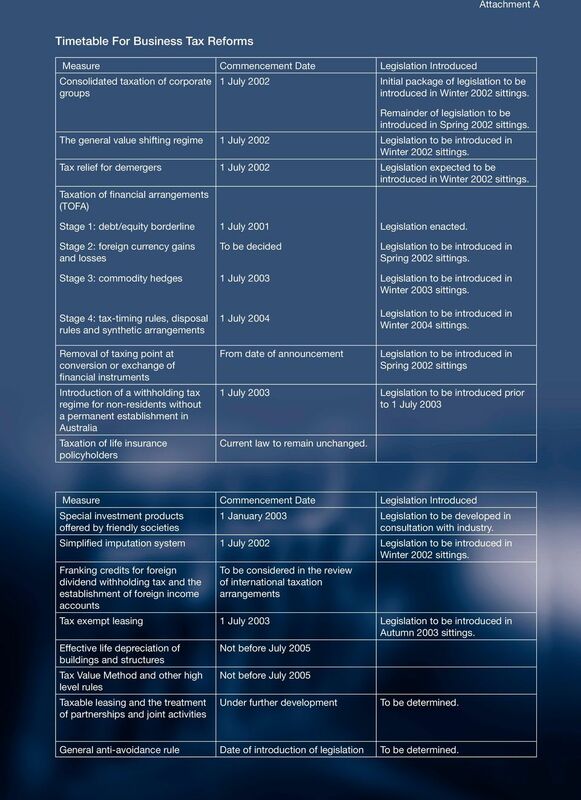 AUSTRALIA S NEW FOREX REGIME By Stephen Barkoczy * Australia has recently adopted a revolutionary new codified regime for dealing with the taxation treatment of transactions that occur in foreign currency. 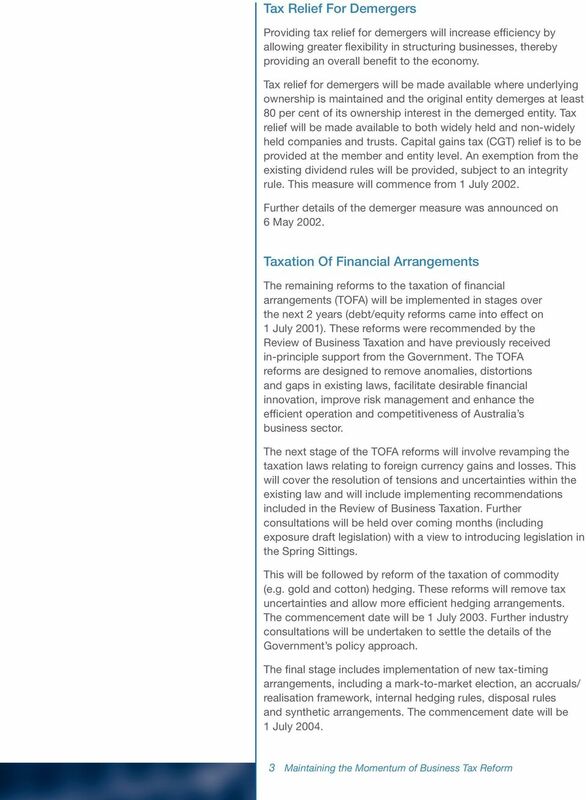 Australia Tax Alert. 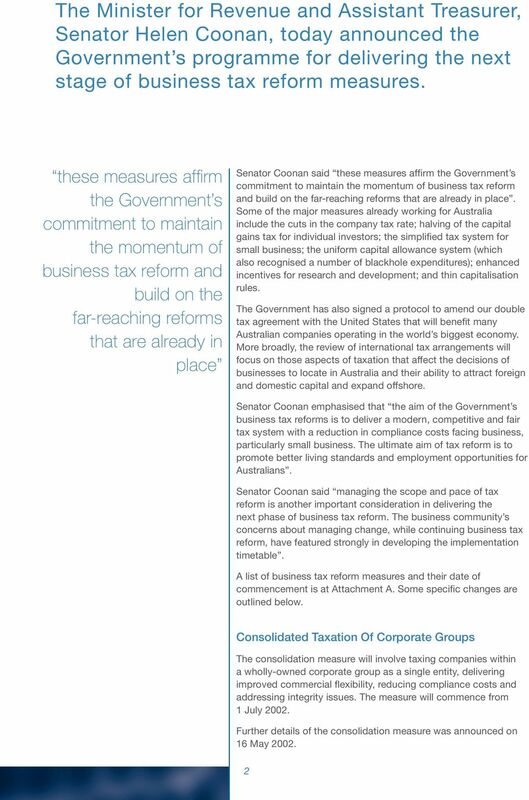 Budget 2013-14 targets debt funding by multinationals. Thin capitalization rules. International Tax. 15 May 2013. Post implementation review into certain aspects of the consolidation regime. Discussion Paper. boardtaxation. the of. 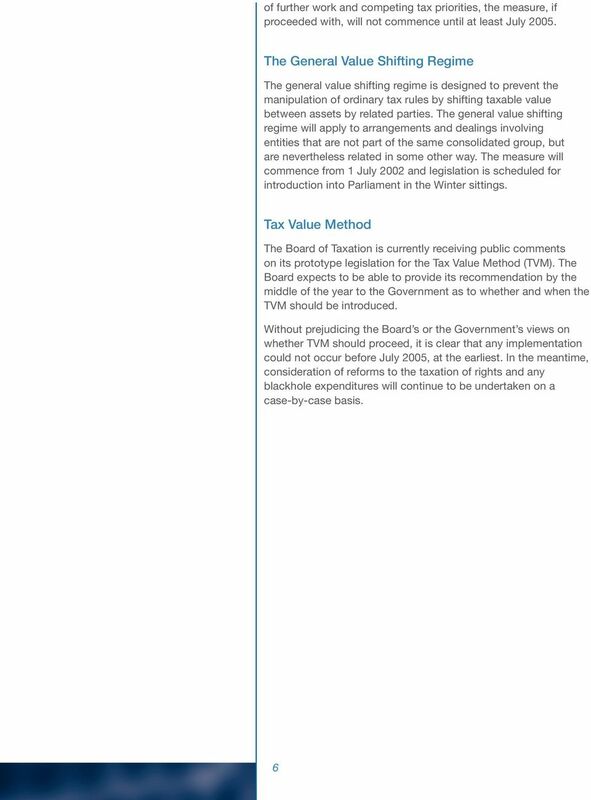 www.taxboard.gov. New Zealand. 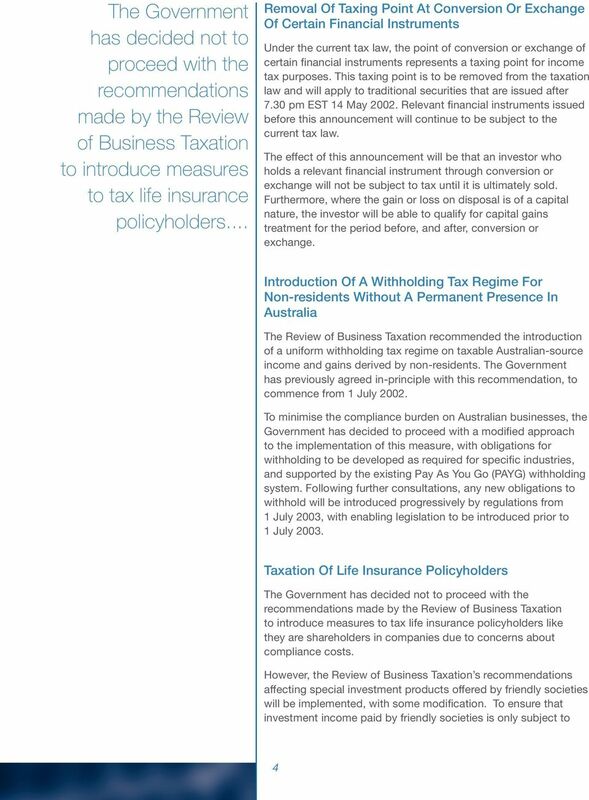 A company to which insurance legislation applies. after 1 January 2007. Tax Reform in Brazil and the U.S.